Clinton Foundation Targeted by FBI – About Time! What goes around, comes around. The Democrats intend to turn-up the heat on the Impeachment of Trump. That is all they have to run on in the midterm elections in November. They voted against any tax reform and simply oppose anything offered by the other side. Politics has just degenerated into the obstruction and neither side seems willing to work together. With the Democrats trying to use the Impeachment Card to trump Trump, the game is now afoot and the niceties are off the table. 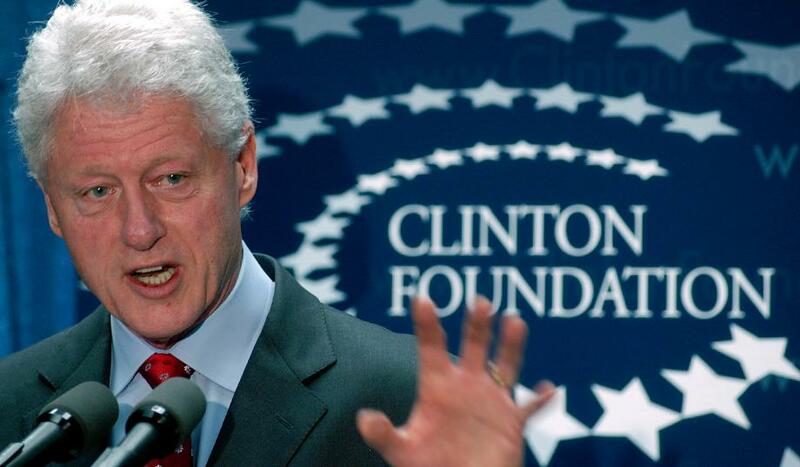 Now the US Federal Bureau of Investigation (FBI) has reportedly targeted the foundation of former President Bill Clinton on suspicion of political favors in exchange for donations to the Clinton Foundation. The allegations refer to the period from 2009 to 2013, when Hillary was US Secretary of State. A spokesman for Hillary Clinton told “The Hill” that the FBI investigation was “fraud.” This is really an insult to common sense. As soon as Hillary lost the election, all the foreign governments, including Saudi Arabia, withdrew their “donation” for a smoke-screen charity. The Clinton Global Initiative was their pretend centerpiece to which they claimed its goal “convenes global leaders to create and implement innovative solutions to the world’s most pressing challenges.” This was their claimed effort to influence world leaders while, of course, raising cash for the Foundation from world leaders. As soon as Hillary lost the election, her position of “influence” came to an end. The Clintons began immediately laying off all staff as of April 15th, 2017. The Clinton Foundation said in a filing with the New York Department of Labor reporting it will layoff all staff citing the discontinuation of the Clinton Global Initiative. It really would be nice to see this exposed for what it is. Bill sold Presidential Pardons to the highest bidder. Not only Marc Rich, but there were countless others. I knew of one kid in Federal Prison in Fort Dix, New Jersey who was bragging he would be released because his father paid the Clintons $250,000 for a Pardon. The corruption of the Clintons has been notorious and probably has never been surpassed by any political figure in the history of any nation.